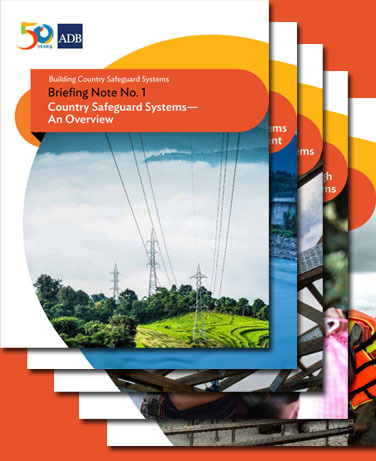 The series of briefing notes on country safeguard systems focuses on effective environmental management, protection of displaced persons, safeguarding indigenous peoples, strengthening capacity, as well as ADB’s efforts to support its developing member countries in strengthening their environmental and social safeguards. 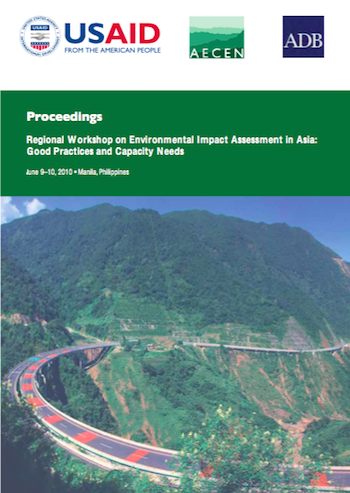 The Asian Development Bank (ADB) and the Asian Environmental Compliance and Enforcement Network (AECEN) jointly organized a regional workshop entitled “Environmental Impact Assessment in Asia: Good Practices and Capacity Needs” at the ADB Headquarters in Manila on 9-10 June 2010. 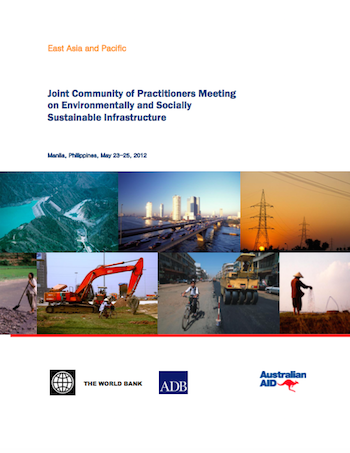 The Asian Development Bank (ADB) and the World Bank (WB) Office Manila, in cooperation with the Australian Agency for International Development (AusAID) and the Japan International Cooperation Agency (JICA), convened the Joint Community of Practitioners (CoP) Meeting on Environmentally and Socially Sustainable Infrastructure at the Edsa Shangri- La Hotel in Mandaluyong City, Philippines on May 23-25, 2012. The objective of this meeting was to share knowledge on practical applications of safeguard policies across the region and to identify common themes for inter-agency collaboration. Harmonizing safeguard systems across countries and development partners is a task that demands time and continuity. Developing countries in Asia have made significant advances in the scope and depth of their safeguard systems. 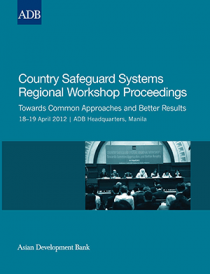 This publication records the proceedings of the Second Regional Workshop on Strengthening Country Safeguard Systems: Towards Common Approaches for Better Results held at ADB headquarters in Manila on 7-9 October 2014. 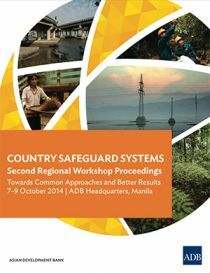 The Asian Development Bank's (ADB) Safeguard Policy Statement (SPS) (2009) affirms ADB's commitment to help its developing member countries (DMCs) strengthen their country safeguard systems. As an integral part of efforts to enhance aid and development effectiveness, there is a growing global emphasis on the need to broaden the vision and mission of development to strengthen country safeguard systems and harmonize safeguard policies and approaches among development partners.